Hashtags are no longer just a go-to joke for Jimmy Fallon and Justin Timberlake or a way for parents to appear cool on social media. Ever since they were invented by the brains at Twitter, they have grown into one of the defining features of modern grammar, remarkably transcending the usual boundaries to gain popularity in all languages. Well, that is until the day, fast approaching, when all language evolves — or rather, devolves — into an elaborate emoji Esperanto. But that’s going to have to be another post, or maybe a series. Right now, we can celebrate that rarity for brands: a social feature that can actually help drive organic growth. In a world where the freemium model for rapid monetization rules, this is a positively heartwarming endorsement of what we do as marketers: leverage creativity to help brands connect with their audiences in more authentic and memorable ways. Brands now have a powerful new tool for organic engagement if they behave like people. The greatest brands feel human, in the way they understand our thoughts and motivations and how they choose to communicate with us. The rise of the hashtag calls for brands and agency partners to immerse in the culture and exercise an editorial intelligence about what kind of content they want to define them. This is not how a typical marketing department runs, so the paradigm change might be a little painful. But the ones who make it through the pain of changing systems, metrics, even entire media strategies, will reap the rewards. One immediate shift in social strategy could be to redistribute marketing efforts to find a balance between a brand’s handle and its hashtag. Here’s the thought experiment that Paul Crary, our social strategist, proposed: Is it better for Airbnb to invest in content on their own account, @Airbnb or use the power of crowd-sourced memories to curate content around #airbnb? (We’ll let you know when Paul figures it out). The benefits are well worth the effort: In a world of paid social, it’s not often that brands are handed an organic tool for rapid expansion and high engagement. But as the thought experiment above suggests, brands will need to think hard about what hashtags they might want to own: brand name, brand asset or brand-related theme. Think of the power of two simple words: #optoutside — a brilliant brand action from REI that transcended its creator to become a cultural moment. A few more inspirations: #LeBron15 for Nike, #GiveGood for Starbucks and Target's adorable #BullseyePlayground — hashtags that helped brand sponsors play a meaningful role in culture in subtle and organic ways. Having made the choice, it’s important to track the ripples, currents and overall flow of the conversations that matter and deliver against those themes. Brands that are diligent about blending their objectives with the forces of culture can gain momentum beyond those that stick to a more inflexible playbook. A cautionary note: The forces that make hashtags such magnets for brands in culture also make them vulnerable to noise — irrelevant, even negative content affixed to the same hashtag. If anything, it makes the jobs of the social strategy team and input from community managers even more important. Before we break out the champagne, a few questions remain: How long will it be before Facebook figures out how to monetize this new river of opportunity? 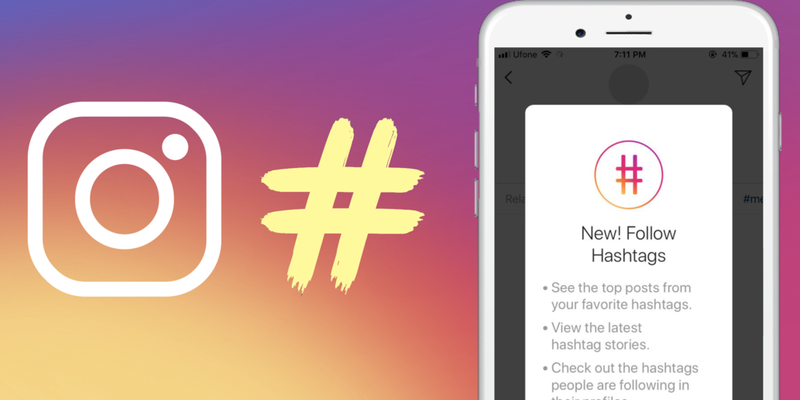 Will users actually follow hashtags? That isn’t their behavior right now, but rest assured the wizards, coders and behavioral psychologists on staff in Menlo Park will cook up, test and refine ways to change those habits. And finally, since Twitter is the birthplace of the hashtag, how will they respond to this move? We will continue to keep an eye on this development and the possibilities it offers, as well as any changes in the feature. Meanwhile, let’s enjoy this little bit of good news for #brands.